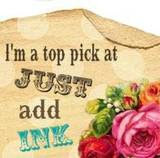 There is a new Australian Stampin' Up! 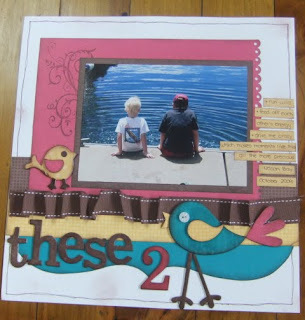 challenge blog Just Add Ink. They are up to their second challenge now but I was a little slow off the mark and have only just finished the first challenge. 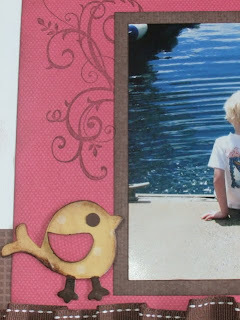 It was a colour challenge to use the colours of their blog on a card, scrapbook page or 3D project. 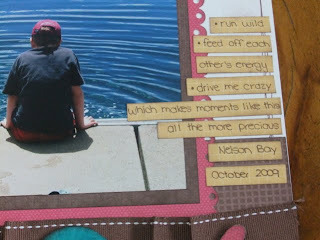 I chose to do a scrapbook page. I love the colour combination and would never have chosen it without the challenge. 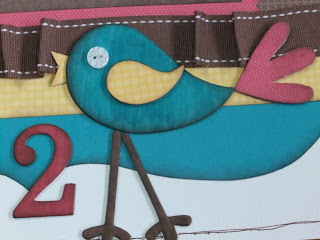 Here is a close up of the big bird from the So Tweet Chipboard. And finally the page. Two of my boys (Matt and Ben) looking angelic.